Two obstacles that prevent you from reaching your fitness goals. We all know we need to drink more water, eat more veggies and workout more to lose weight. But, are these two, BIG obstacles preventing you from reaching your health & fitness goals? Obstacle #1) Lack of accountability. We were created for relationship: relationship with God and relationship with others. Our life is meant to be lived with others, in community and with accountability. Friends help us become better and sharper versions of ourselves by providing us with accountability, encouragement, inspiration, and so much more! Accountability is essential in all aspects of our lives and it is no different in our health & wellness journey. >>According to the American Society of Training and Development study on accountability, they found that you have a 65% chance of completing a goal if you commit to someone. And if you have a specific accountability appointment with a person you’ve committed, you will increase your chance of success by up to 95%. Please don’t try to go after your health journey alone. God created us to be better together. Celebrating your success won’t be near as much fun by yourself, and getting through a rough patch is much easier with a trusted friend by your side! Obstacle #2) Lack of incentives (rewards). Whether we lose five pounds or 60 pounds, whether it is a week or six months of sugar, it is essential to celebrate our success along the way to our goal. Did you know that by rewarding yourself, your brain elicits positive emotions, leading to the realization that your efforts result in a positive reward? By doing this continuously, your brain will start to link pleasure to accomplishing the task or objective and move towards it in the future. Our health & wellness journey is a marathon, so stopping to celebrate our, big or small, achievements is essential to making the trip less daunting and more pleasurable! Incentives keep us motivated, driven, and keeps our goals attainable. PRO TIP: Aim for a non-food rewards. It is easy to get into a habit of celebrating weight loss success with drinks out on the town and a fancy, high-calorie dinner (cheat meal anyone?!). While this is okay every once in a while, going out every week to celebrate will add up and take away from your weight loss progress! So, if you’re trying to keep the weight off, here are a 24 non-food incentives that’ll reward you without the extra calories! Buy a new book and enjoy a relaxing afternoon reading. "According to research, the two factors that effectively help people achieve the behavior change they desire are incentives and accountability." Whether you are looking for a jumpstart to your health & wellness this fall, you hit a plateau or you realized you need more accountability or incentives, I want to invite you to join our Labor Day Lean Out Transformation Community. 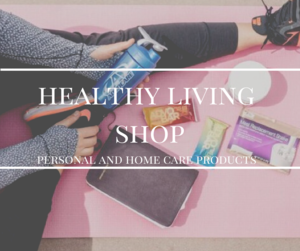 It is designed to take your Health & Fitness to another level and AdvoCare has designed the perfect programs, along with transformation journals & an ideal product regimen. We have taken this a step further by creating a Private FB group just for this challenge with specific coaching in these areas to motivate, educate and transform your fitness and lifestyle. Here are just SOME of the things the group will provide along with daily motivation and communication. * Prize for the best 80 Day Transformation… Apple AirPods! If you are interested, fill out the form below for more information! Here to help you! Newer PostThis could be holding you back from moving forward with God.